5 Points Reach 200 meters! 25 Points Unlock all (default) player characters. Early Climber! 10 Points Reach 500m! Hazard Zone! 10 Points Evade 10,000 spike blocks. Jingle Bell! 10 Points Bump into other birds 1,000 times! Arrow time! 25 Points Evade 100 bullets/arrows/bats using the time slowing bird! Sacrificer! 25 Points Die 300 times. Those With Wings... 25 Points Reach 1,000m. Arise 50 Points Reach 2,500m! Arise! 100 Points Reach 10,000m!!! Ascension! 100 Points Reach 5,000m! Stairway to The Stars! 100 Points Jump 25,000 times! Level 2 25 Points Secret Medal: Unlock this medal to view its details! Level 3 25 Points Secret Medal: Unlock this medal to view its details! Level 4 25 Points Secret Medal: Unlock this medal to view its details! Level 5 25 Points Secret Medal: Unlock this medal to view its details! Level 6 25 Points Secret Medal: Unlock this medal to view its details! Level 7 25 Points Secret Medal: Unlock this medal to view its details! Level 8 25 Points Secret Medal: Unlock this medal to view its details! Level 10 50 Points Secret Medal: Unlock this medal to view its details! Level 9 50 Points Secret Medal: Unlock this medal to view its details! 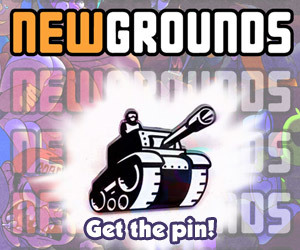 Surrender 100 Points Secret Medal: Unlock this medal to view its details! Win 100 Points Secret Medal: Unlock this medal to view its details! Coin Hunter 5 Points Secret Medal: Unlock this medal to view its details! Who made this? 5 Points Secret Medal: Unlock this medal to view its details! Ouch! 10 Points Secret Medal: Unlock this medal to view its details! Clean up 25 Points Secret Medal: Unlock this medal to view its details! Sit back! 25 Points Secret Medal: Unlock this medal to view its details! Tutorial Reader 25 Points Secret Medal: Unlock this medal to view its details! Uh!? 50 Points Secret Medal: Unlock this medal to view its details!